Are you tired of the lazy throttle in your MINI? Or that huge delay when you press the gas until something happens? The MINI Sprint Booster is a simple part you NEED. Sprint Booster, What's that? 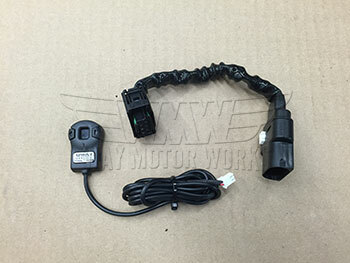 Well this is a simple plug-n-play installation that takes just a few minutes and delivers instant response throughout the power band, making accelerating and rev matching incredibly more fun. 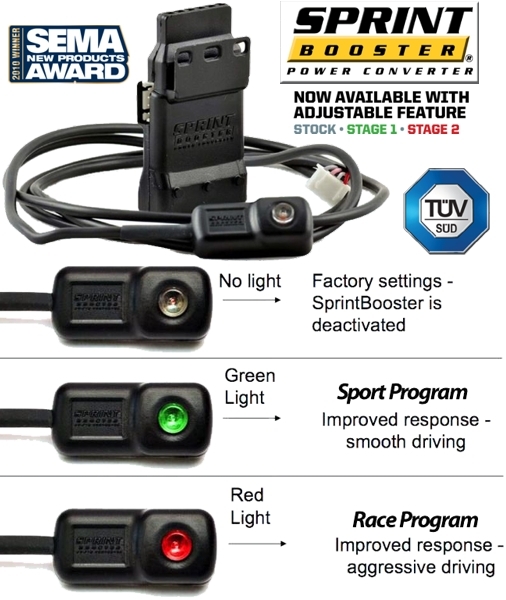 Sprint Booster is engineered to enhance the driving experience by providing increased acceleration time (eliminating delay) on drive-by-wire cars by continuously measuring and converting the digital signal and providing the ECM (Electronic Control Module) with a new and altered signal for much quicker response. Sprint Booster improves response, increases pedal input sensitivity and delivers more impressive off the line performance you can really feel. This module just plugs into the factory wiring for the electronic throttle pedal on your MINI or MINI Cooper S. So no wire cutting or hacking required. And can be installed by anyone in just a few minutes. NEW: This Sprint Booster V3 selectable. That's right there is now a switch that comes off the module to allow you to have 18 settings for how reactive the throttle is, like sport mode and full Race mode, or stock turning it off. And now also a Valet mode that allows you to limit the throttle to max of 50% so no one can joy ride. Then also throttle lock that locks it so it won't accel as a theft deter ant. I have the 1st Gen version of this thottle remap, and If I had to eventually remove all my mods from my MINI and Just have one. This would be it, Even my smaller SC pulley would go before this. It totally made my 03 MCS more "drivable" ....The BEST bang for the buck mod next to my 22MM HSport Rear Sway bar. Awesome product. Throttle response is incredible after installing this. Installation took about 5 min on my Cooper "S" Very fast shipping, great people to buy from. The Gen 3 version is a great product. It gives you a wide range of settings (Sport & Race) so you can set it to what you like. Very responsive throttle control when accelerating out of curves.